Doves do not cry. Crying as an expression of pain or emotion is a mammalian trait. I know this to be true because on a 6th grade trip to the zoo, dressed in my finest purple, I asked the zoologist. So I am confident in stating that if you owned a raspberry beret and spent any portion of 1986 walking into the grocery store through the out door, you understand the depths of my mourning for the death of Prince. As a closet follower of all things pop culture, I have listened repeatedly to my Prince playlist and read every article I have run across about Prince since his death. And then, today, it happened. I read an article so blatantly ridiculous, it could not possibly be true. Who would write such an atrocious, fabricated tale, and who would believe it? Turns out the top celebrity magazine in the country wrote it, and based on the 396 comments I saw, everyone believed it. The article has since been edited. Experts in the area have been interviewed and the magazine has fixed its egregious errors. Most likely these errors were discovered when their own attorneys almost fell out of their chairs, as I did. So, I promise that I will not trouble you with the hideous nature of the original article or the depression that sank further into my soul as I browsed reader comments saying they were going to contact their police stations on the subject. I will simply tell you the title of the article, which will provide you with all of the outrage and confusion you need for the day. Who Will Get Prince’s Millions? Cops Say They Have No Record of a Will for the Late Singer. I will simply say this: We have no idea what will happen with Prince's estate. However, this article and hundreds of others like it do send a clear message that people are being miseducated and misinformed about estate planning and administration by the media. As elder care attorneys, we need to take seriously this article and the hundreds of comments from readers believing everything they read. Our baby boomers are reaching the age of health issues, and every family is one accident away from a crisis situation. It is our duty to continue to educate our communities through workshops on the truths about wills, trusts and administration. Understanding the importance of protecting their assets for themselves and their children is a duty LWP attorneys have to our communities, and I am proud that we do not take that lightly. And, if you are an elder care attorney, I encourage you continue the workshops you provide to your community giving the tools and knowledge necessary to help make educated decisions about family affairs. And, providing options to attendees will potentially save thousands of dollars when crisis strikes or old age rears its ugly head. 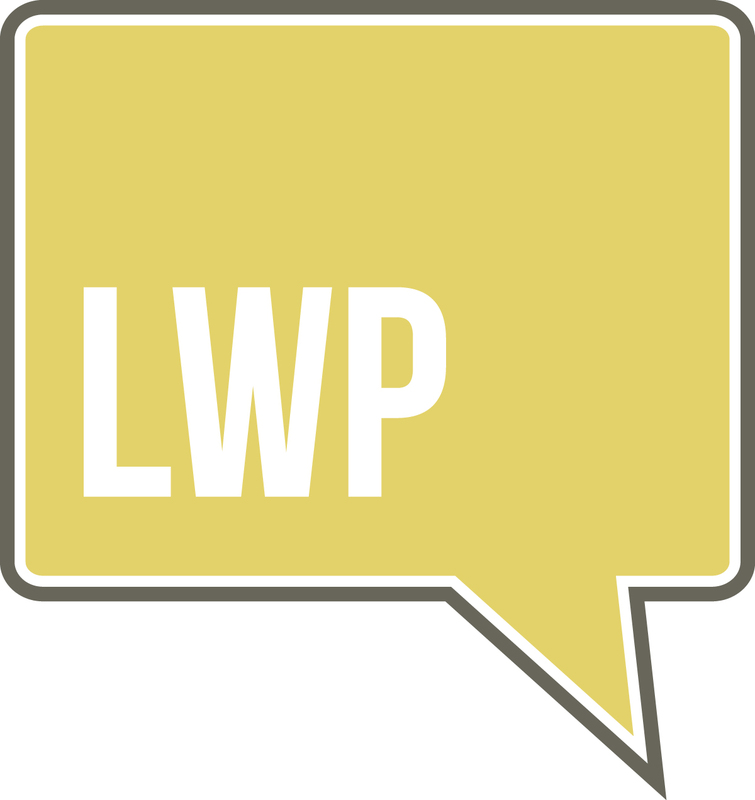 Let us, as the LWP community working together with our clients, not give up on our goal of educating and providing the best legal advice out there for families. Let us not give up – until the doves cry. Early Bird registration and pricing is now open for the June 20th - 24th Tri-Annual Practice Enhancement Retreat in San Diego. During the week you'll discover our most effective and PROVEN practice growth strategies, legal/technical best practices and marketing GOLD - so powerful and cutting edge we will ONLY share them face-to-face! Register today and reserve your seat at early bird pricing! The first key step in any trust funding strategy is to identify what type of estate plan the client is pursuing. A traditional revocable living trust is an estate plan wherein the client identifies who gets to benefit from the client's assets when the client is well, disabled, and after death. A critically important point to funding a revocable living trust is if all assets funded in the trust are still 100 percent available to creditors, predators, and long-term care costs of the grantor while alive. The assets can continue to be made available to the creditors and predators of the beneficiary after the death of the grantor without proper planning (more on that later). In the alternative, if a client has opted to do an irrevocable trust for asset protection and/or current or future benefits eligibility (we call these IPUG® trusts) then funding is much more important, because assets are not protected from third-party predators until funded, and they're not protected from long-term care costs until funded and any related penalty period for the conveyance of the trust has expired. Therefore, funding in asset protection or benefits eligibility is significantly different. Finally, if the client has done a trust predominantly for estate tax planning to ensure that assets are not included in the grantor's taxable estate, or to minimize the taxes on them, funding takes on yet another unique importance. Finally, regardless of what type of planning, we also need to look at the types of assets we are funding. For example, funding a home has several options as well as funding an IRA or other tax-qualified assets. So examine the differences and determine how to fund properly. The first questions we must ask are, what type of planning has the client done and what type of assets is the client funding? If a client has done a revocable living trust, then funding is important to ensure that the trustee actually has the authority over the client's assets to administer them in the manner that has been identified by the client in the trust. If funding is not completed or properly done, a "pow will" usually cleans up any missed items at death by ensuring that any assets not funded that go through probate name the trust as beneficiary. Unfortunately, if the client doesn’t die but instead becomes incapacitated, failure to fund a revocable trust has more dire consequences. In addition, failure to fund assets to the trust does not eliminate probate, one of the primary benefits of having a revocable living trust to ensure the plan is carried out without the excess costs, delays and frustrations of probate to the client’s family. In stark contrast to revocable trust planning, when planning for asset protection or benefits eligibility, funding becomes the most critical element to which all protection occurs. For example, if an asset is funded into an irrevocable asset protection trust today, it is protected from any and all claims that arise after the funding. More definitive, if planning for benefits eligibility, the funding of the last asset becomes most critical, as all assets funded to a trust will be subject to Medicaid's review of that transfer for up to 60 months. At Lawyers with Purpose, we call this the "look forward™" period. When funding an irrevocable trust for benefits planning, the look forward on the final conveyed assets will trigger protection of the assets. For example, if a client has $500,000 to fund and only funds $450,000 of it, and two years later remembers to finally fund the last $50,000, the $450,000 conveyed initially will have a 60‑month look forward, but the $50,000 conveyed two years later will have its own separate 60-month look forward that will extend years beyond the expiration of the previous trust transfer. That is why it's essential when benefits eligibility planning that funding be done in a timely and effective manner to ensure that the look forward is minimized. Although funding is a critical element in each type of planning, what can complicate it further is the type of assets being funded. For example, let's consider funding a home. For a typical revocable living trust, the funding of the home ensures that there will be no probate on the home but still makes the home available to creditors (if not protected by some other state statute while tenancy by the entirety), or it can become a recoverable asset after death if Medicaid benefits are received. While the home is exempt for married and single applicants, it can be subject to estate recovery after death for all funds paid on behalf of the applicant during their lifetime. See my related article on Estate Recovery ­­­­- What Can (And Can't) They Get. Finally, a recent case in Massachusetts suggests that having a trust that allows the grantor to reside in the house makes the entire value of the house an available resource in determining the client's eligibility for benefits. See my post on Nadeau v. Thorne - No Reason To Fear. This adds additional complications in funding, since attorneys may now choose to reserve a life estate in the deed rather than fund the entire property to the trust and risk its loss as an available resource. Finally, transferring a house or second home to a qualified personal residence trust is a gift-discounting technique often utilized by those subject to estate tax. Again, the funding of these properties into the trust, and the subsequent survival of the grantor during the term in which the interest is held, is essential to maximize the estate tax reduction. The other major asset to be considered in funding is the IRA. The Supreme Court in Clark v. Rameker decided in June 2014 that IRAs are not protected for those who inherit them. There is an obvious exception for an IRA that names a spouse beneficiary, who then combines it with an existing IRA. While this ensures IRA protection from general creditors, an IRA is not exempt in determining one's eligibility for Medicaid, and therefore, leaving an IRA to a spouse can expose the entire IRA balance to the surviving spouse's nursing home costs. Federal Medicaid laws are absolute: an IRA is an available resource, unless it is annuitized. Although some states have liberalized the interpretation of annuitization (i.e. many states deem they were payouts of RMD to satisfy the annuity executor) it is not the federal law, but merely state policy, which could be changed at any time without notice. Over the last few years, several states have changed their policy, thus making assets that were presumed to have been protected immediately available for long-term care costs. To have learn more about the support and systems to fund clients' plans properly, contact Lawyers with Purpose now. If you want to learn more about who we are consider joining our FREE webinar this Thursday, April 21st. Discover how to build a thriving Estate, Elder and Asset Protection practice that attracts higher quality clients, generates an endless supply of referrals and continuous exposure in the community ... without working 80 hours a week or breaking the bank! Reserve your spot today, just click here now. Creating an LLC or a corporation ensures that the liability for John’s actions will be limited to the assets of the LLC or corporation. At LWP we call LLCs and corporations a bubble; so if John’s backhoe suddenly becomes John’s Backhoe Service, LLC or Inc., then the only thing at risk of being lost if John were to hurt someone with the backhoe would be those things that are owned “inside the bubble.” Assets owned inside the LLC typically would consist of the backhoe and any cash accounts or other business assets. Unfortunately, that is not complete protection; it is only protection from the inside out! Having an LLC or corporation protects John’s personal assets from all liabilities created by his business – and that’s where most people end, which is a mistake. Although an LLC or corporation protects John’s personal assets from the liabilities of his business, John’s business itself and his other assets are not protected from John’s personal liability. At Lawyers with Purpose, we say John’s assets, while protected from the inside out, are not protected from the outside in! If John buys his 16‑year-old child a new car and they go out and kill someone with it, John can be sued. Since John owns an LLC or the corporation, it can be taken from him as a general asset. Although some states provide protections from creditors getting inside the assets of an LLC, it is not always so. Many states require that there be more than one owner of the LLC for it to be protected. Others, while not allowing access even as a single-member LLC to the company assets, consider John’s interest in the company itself to be an asset that is subject to risk from third-party creditors and predators. Perhaps the greatest creditor and predator to John is in fact not a lawsuit at all, but rather a nursing home or other long-term care costs. If John were to enter a nursing home, the full value of his business and all of the income it produces would be considered available in determining his eligibility for Medicaid or other needs-based benefits. This could be catastrophic, since small businesses rarely produce enough income to support the monthly cost of a nursing home stay. That’s why it’s absolutely essential: If John wants to protect his assets from the inside out and outside in, he needs to utilize an IPUG® protection trust. IPUG trusts ensure not only that John’s assets are protected from the inside out – that is, his personal assets will be protected from the liabilities of the business – but also that his assets will be protected from the outside in – John’s business and other assets will not be within reach of general creditors and predators (i.e. the kid’s car accident or a nursing home pay out). So get really clear on how to protect people. That’s what we do at Lawyers with Purpose. Contact Lawyers with Purpose now to see how you can be effective at utilizing IPUG protection trusts to ensure asset protection for all of your client’s assets. If you want to learn more about becoming a Lawyers With Purpose member, consider joining our FREE Webinar "Four Essentials For A Profitable Practice" on April 21st at 8 EST. Many people commonly use Irrevocable Life Insurance Trusts (ILIT) to ensure that life insurance owned by an individual is not included in their taxable estate at death. While an ILIT is a useful trust, you could accomplish far more with a TAP™ trust. So let's review an ILIT and distinguish how a TAP enhances the benefits often sought by ILITs. An ILIT is an irrevocable trust wherein the grantor retains no rights to modify the trust, benefit from the trust or control the trust. Retention of any of these rights will trigger estate tax inclusion under Internal Revenue Code Sections 2036 through 2042. An Irrevocable Life Insurance Trust may be a non-grantor trust or grantor trust, depending upon the attorney's drafting choice. Triggering a provision of Internal Revenue Code Sections 671 through 679 will cause the inclusion of all income from the ILIT to be included in the personal income tax return of the grantor. While the grantor retains no rights to modify, control, or benefit from the trust, the grantor may be taxed on its income if a grantor trust provision is triggered. The most common of these grantor trust provisions is to allow the grantor to substitute assets of equal value, or make loans to the grantor without adequate security. By choosing grantor trust status, it essentially serves as an additional gift without having to utilize the annual gift tax exclusion, because the income taxes are paid from the grantor, rather than the trust. As a result, those additional sums are retained in the trust, thus providing additional assets to the intended beneficiaries that otherwise would have been used to pay the taxes. One of the core elements of an ILIT is ensuring the use of Crummey powers. Crummey powers are based on the landmark case Crummey v. the Commissioner wherein the U.S. Tax Court held that granting someone the right to withdraw money funded to a trust immediately but limited to a short period of time (i.e. 30 days) was sufficient timing to deem the contribution a "present interest" and thereby trigger the annual gift tax exclusion for the contribution. A Crummey power is essential to ensure that the annual gift tax exclusions are utilized so as not to reduce the grantor's overall lifetime estate and gift tax exemption. One critical restriction under the current power, however, is that Section of the Internal Revenue Code limits the annual exclusion made to trusts to the greater of 5 percent of trust assets or $5,000. Therefore, it is essential to have a "hanging power" to ensure any contributions in excess of $5,000 or 5 percent are not deemed to be taxable gifts. These hanging powers allow the Crummey beneficiary to continue to have the right to withdraw this excess amount, even beyond the 30-day period. For example, if a grantor contributes $42,000 to a trust for three Crummey beneficiaries and the $42,000 is the only asset of the trust and it was utilized to pay the insurance premium, then 5 percent of the trust assets only equals $2,000. Obviously, $5,000 would be greater, so $5,000 of each $14,000 contribution would be deemed to be a present interest gift and $9,000 of the contribution would "hang" until no contributions are made in a given year. At that time, an additional allocation of the annual gift would occur based on the $5,000 or 5 percent trust value limitation. Obviously, this could be problematic if these powers hang and one of your Crummey beneficiaries becomes subject to lawsuits, divorce or long-term care costs. Another consideration with the Crummey power is to have straw Crummey beneficiaries. This is typically done by adding beneficiaries to the lifetime trust, which operates during the grantor's lifetime and provides the names of people who are not residuary beneficiaries. For example, one straw Crummey beneficiary might include spouses or other remote relatives who are willing to be a Crummey beneficiary, understanding that they are not likely to be an ultimate beneficiary. This allows additional payments each year to be contributed within the annual exclusion limit. Both ILITs and TAP trusts have Crummey provisions with hanging powers. Neither ILITs nor TAPs are user friendly to individuals with estates less than $5,450,000, or $10,900,000 if married. These excessive restrictions need not be applied in circumstances where the total estate of the grantor plus the life insurance benefits does not exceed the estate tax limit. Obviously, the only other consideration would be if your state had an estate tax at a lower limit. If estate tax is a concern, a primary benefit of the TAP trust over the ILIT is that a TAP trust stands for Tax All Purpose trust, which means its intended benefit is far beyond the holding of life insurance. The TAP trust will typically hold life insurance policies, stocks, bonds, and other assets and/or business interests that the grantor would like to get passed on to the trust beneficiaries after death. This is especially helpful, as it will ensure that there are other assets in the trust other than the life insurance policy to accumulate assets of more than $280,000 to ensure that the entire Crummey contribution can be utilized each year with no hanging powers. In addition, the TAP trust has extensive provisions for lifetime and residuary trusts to the individuals or classes of people. For example, sometimes a grantor will create a family-type trust that takes effect after death for the benefit of the surviving spouse and children, and upon the death of the surviving spouse, it provides separate residuary trusts for each child. Other times, clients may want to create a benefit for a class of their children for their lifetime, and at the death of the last child the balance is allocated to their then-surviving children in separate share trusts. TAP trusts are extremely flexible and powerful in ensuring that whatever assets are passed through them (life insurance, stocks, bonds, business interests, etc.) are passed on to their loved ones fully asset-protected in separate asset protection trusts or common trusts, depending on the client's goal. One of the critical distinctions in asset protection trusts after death is to ensure that the trustee is an independent trustee under Internal Revenue Code Section 672(c). One distinction to resolve the concern of naming the child beneficiary as the trustee without violating Section 672(c) is to ensure that you name a co-trustee who is adverse, a strategy far too few lawyers utilize. For example, after the death of a grantor, the surviving spouse can be the trustee with a co-trustee of one of their children. While this would be considered under the family attribution rules to be a controlled trustee, the adverse party interest ensures that the Internal Revenue Code distinctions are met. For example, if a child was a co-trustee with the spouse and approved a payment to the spouse during a family trust administration, that would be adverse to the child's residuary interest and thus satisfy the restrictions within 672(c). The other exciting element of a TAP trust is the allowance of the spouse or trust protector to have a power of appointment to modify the beneficiaries within a class of people identified by the grantor. This can ensure that the family is able to adjust for changing circumstances after the death of the grantor to cover his or her overall planning intentions. One of the key distinctions of a TAP trust is also specific language that authorizes the accumulation of income but specifically requires the trustee to account separately for income that is accumulated and converted to principal, so as to ensure no portion of that is utilized to pay insurance premiums on the grantor. While the trust ensures that all the proper legal language is included, to be legally proper it is incumbent upon the attorney to educate the client to understand how to properly administer a trust so as not to violate that provision. So, as you look at the distinctions between an ILIT and a TAP, it's important to note that everything an ILIT is is included in the TAP trust, but not everything in a TAP trust is included in an ILIT, so a TAP is a far more expansive trust that allows much more flexibility and use by a client. If you want to learn more about becoming a Lawyers with Purpose member to discover how the TAP trust can benefit you in your practice and, more importantly, benefit your clients consider joining our FREE webinar "The Four Essentials For A Profitable Practice" on Thursday, April 21st at 8EST. Click here to register now. This is a FREE training webinar designed for attorneys who wish to add Estate Planning, Asset Protection, Medicaid, or VA Planning to their practice, or significantly improve on their existing business using our PROVEN and paint-by-number strategies. Reserve your spot now!